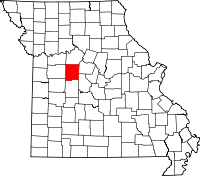 Both the Pettis County Clerk and the County Recorder are housed in the Pettis County Courthouse on 415 South Ohio Ave in Sedalia, MO. The Clerk is on the 2nd floor, while the Recorder is on the 1st in Suite 106. The former office maintains criminal and civil records, and the latter is in charge of a number of others, including marriage records, tax liens, survey and property records, as well as several more but excluding birth and death records. The requirements to obtain birth records, available from 1920 to the present, and death records, listed from 1980 to the present, as well as the necessary applications, are provided by the Pettis County Health Center website. While requirements to obtain death records are somewhat lenient, birth record requirements are considerably stricter and only the original recipient of the certificate, members of the immediate family, or legal representatives or guardians may acquire copies.